That’s easy enough. Fact is that it’s a really big problem for large organisations - specifically financial institutions as they have to comply with regulations like the Basel Committee on Banking Supervision's standard number 239 - which is all about assuring data governance and risk reporting accuracy. Here’s a couple of really nice articles and videos that should really give you quite a bit of background. 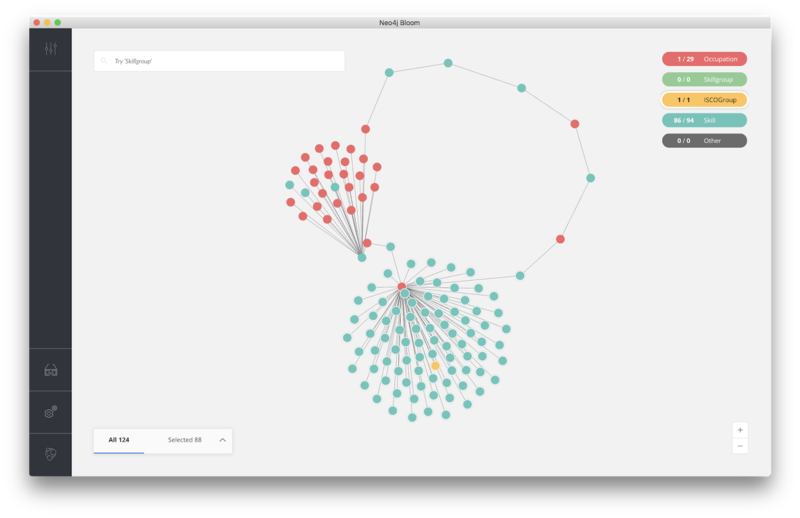 One of the reasons why GraphConnect is such a great event, is because it allows us to connect all the nodes in the graph and have a great couple of days of real-world conversations about this fascinating topic called graphs. Again, we are going to have a great line-up, not in the least because of all the great community content that we will be presenting and working on during the event. RVB: 00:00:00.819 Hello, everyone. My name is Rik, Rik Van Bruggen from Neo4j. And here I am again recording another episode of our Graphistania Neo4j podcast. And today's a little bit of a special episode I think because it relates to something very dear to my heart and many people at Neo4j's heart, which is our Neo4j community. And for that, I've invited Karin Wolok on the podcast. Karin is our community manager. Actually, you have a very different and more expensive-sounding title, right, Karin? But maybe you can introduce yourself to our listeners. RVB: 00:00:00.399 Hello, everyone. 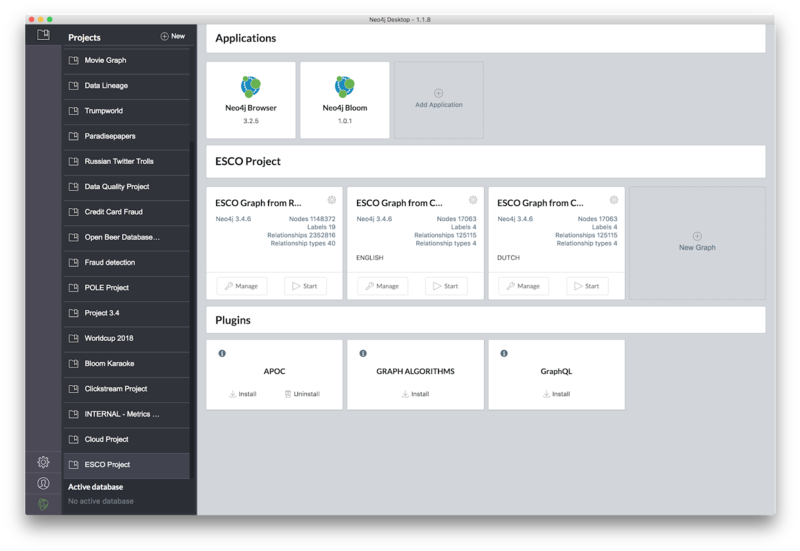 My name is Rik Van Bruggen from Neo4j, and here I am again after the holiday period recording another Graphistania podcast. And today I have the pleasure of welcoming one of my dear engineering colleagues on this podcast episode, and that's Johannes Unterstein from Germany. Hi, Johannes. ESCO database in Neo4j: Skills, Competencies, Qualifications and Occupations form a beautiful graph! the ROME standard: the "Répertoire opérationnel des métiers et des emplois (ROME)"
The ESCO seems to be promoted by the European Commission, and the latter seems to be a Belgian/French initiative of some sorts. Surely they overlap, but I am not sure by how much. As luck would have it I started looking at the ESCO material first, but I am sure we could have written this post about ROME as well. It's the principles that matter. 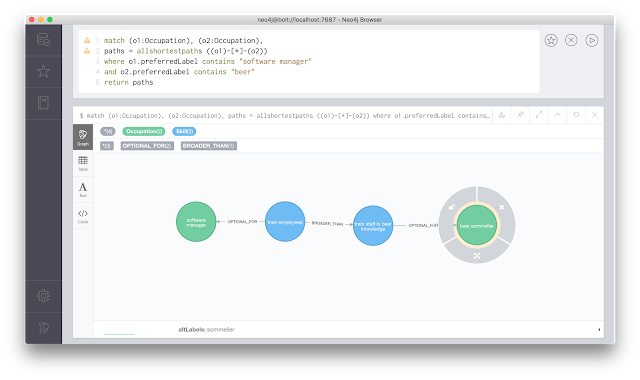 And in principle, I figured that using these standards would be a really cool thing to do in Neo4j. 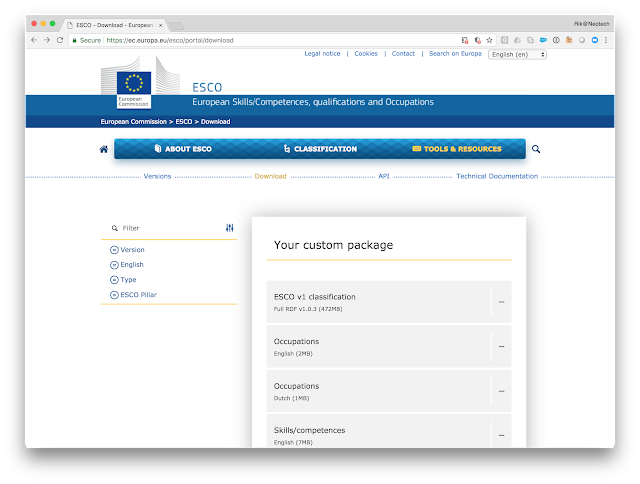 Skills/Competences and Occupations form really interesting graphy structures, and I could see how you could use a taxonomy like that to do some really interesting recommendations and other data workloads. So I wanted to give it a poke around. The entire ESCO dataset can be downloaded from the European Commission's portal site: https://ec.europa.eu/esco/portal. It's really easy: you just select the data that you are interested in - the topic, format, and the languages - and put together a download package. an RDF format, which basically gives you a large (500MB) Turtle file. Turtle - the Terse RDF Triple Language, see https://www.w3.org/TR/turtle/ - is probably more comprehensive, as it contains everything. But it's also quite a bit more difficult to manipulate and get your head around. I was able to import the Turtle file really easily using Jesus' "neosemantics" plugins, and had it up and running in minutes. But I found it more difficult to use - most likely because I am not an RDF afficionado. Sorry. CSV format. That's easy enough - we know how to import those. So all I needed to do was write a few Cypher scripts and import the data in a few minutes. I will put the scripts below, but you can also see them on github. 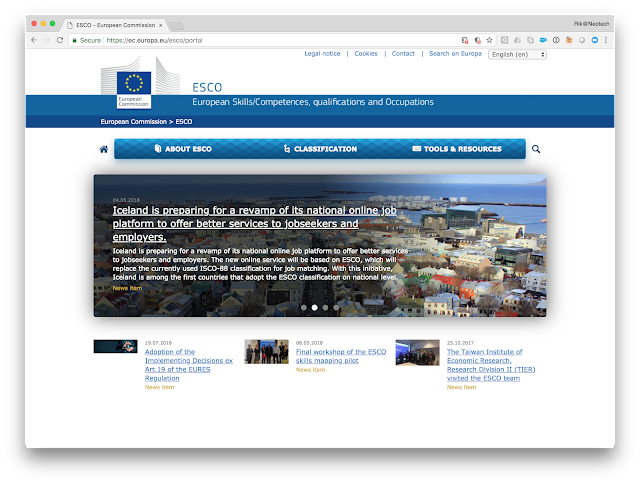 the ISCOgroups: this is a standard of the International Labour Organisation (ILO) that provides an International Standard Classification of Occupations. 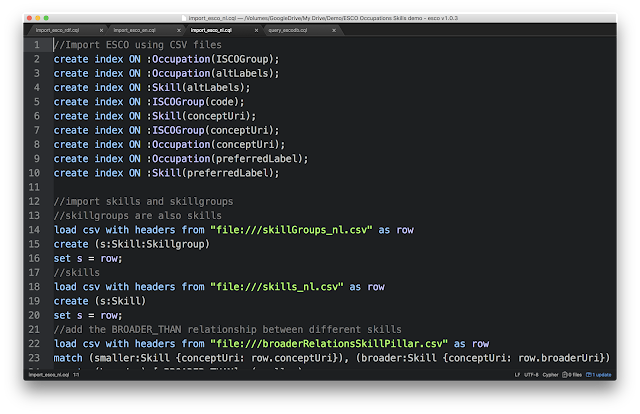 and then a few files with relationships between Skills and Occupations, different ISCO groups, and different Skills/Skillsgroups. one full of RDF triples - complicated! one with English Skills, Skillsgroups, Occupations and ISCOgroups. one with Dutch Skills, Skillsgroups, Occupations and ISCOgroups. This is where the scripts are on Github. Interesting. 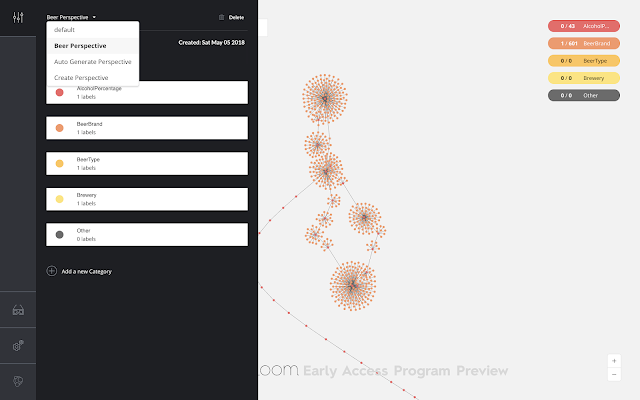 I am sure that a domain expert could do lots of other things here, especially if we could give that expert some non-technical tool like Neo4j Bloom. All in all, this was a really easy and interesting experiment. I am sure there's a lot more to do here - but this was yet another example of a cool application of Neo4j in a surprising domain. So one thing lead to another, and Bart started to do some interesting work integrating his data integration tools with Neo4j. He wrote the code, and blogged about it in some detail. Fast forward to early 2018. Neo4j is more and more in the Enterprise market, with very large organisations seeing the value of graph databases and the platform around it. 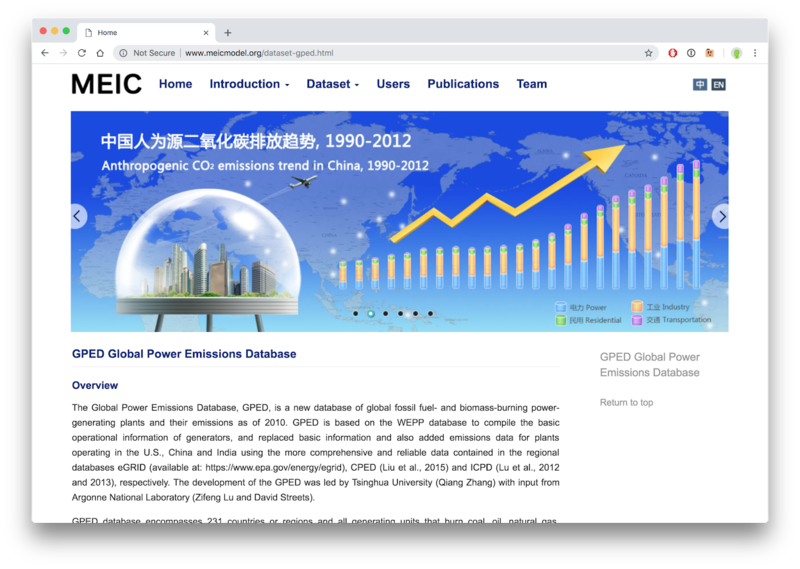 But most of these environments are NOT greenfield environments - they almost always require some kind of data integration work to make the tools work effectively. So it became very natural for us to start look for architects and experts that could help us... and that's effectively what brought my next Podcast guest to the Graph: Matt Casters has worked together with many other Neo4j people in a previous life, and is now the Chief Solutions Architect in our professional services organisation. that seems to have been liked by a bunch of people :) ... thanks for that. Finally. It seems I am getting increasingly bad at getting great podcasts episodes that I have actually recorded a while ago, out there. This is one of them: I had a fantastic chat with Iryna Feuerstein from Prodyna some weeks ago. She has done some amazing talks on Neo4j, and on related subjects (like for example her work on toxicogenomics). So I am very happy to get this episode out there - and hope you will enjoy! RVB: 00:00:02.736 Hello, everyone. My name is Rik Van Bruggen from Neo4j, and here I am on this wonderful Tuesday evening recording another podcast with someone from Germany, and that's Iryna Feuerstein from PRODYNA. Hi, Iryna. Last week something happened that really excited me. 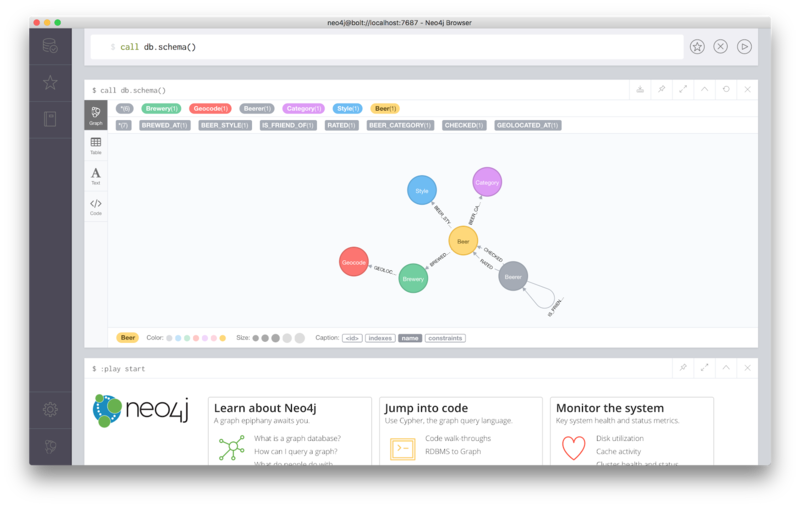 We, Neo4j, finally announced Bloom and demonstrated our own Graph Visualisation and Discovery tool, Neo4j Bloom. This is a technology that we have long been pondering, have experimented with in a number of ways, and have long looked to find and develop an offering that would be interesting and differentiated in what is already a very well looked-after marketplace. I am not exaggerating when I say that is truly exciting. 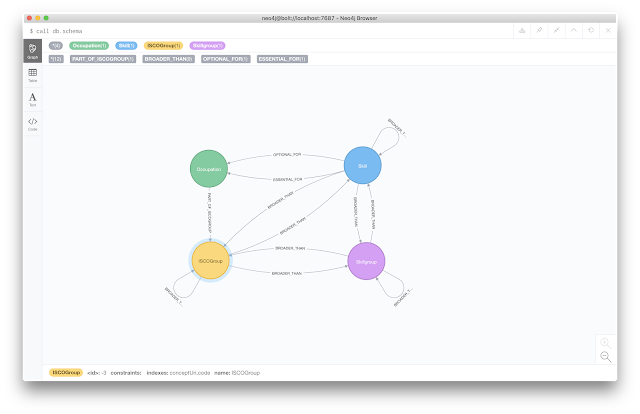 Not only do many of our customers want to be able to visualise the results of their graph queries, but the graph data model is also unique in the way that it provides such an intuitive, easy to understand data model that lends itself so well to a GRAPH-ical representation. 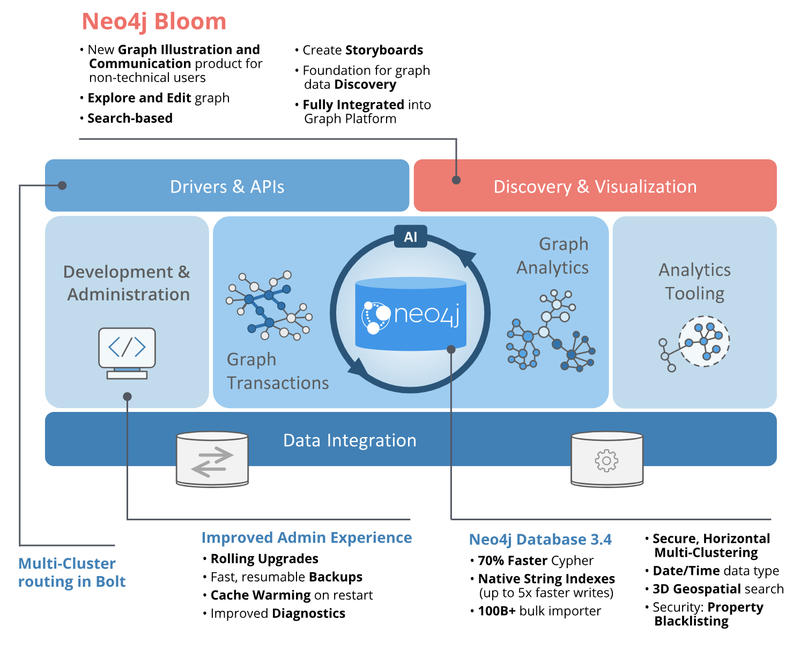 It truly fits into the Graph Platform vision that Neo4j has been advocating since 2017. RVB: 00:00:03.459 Hello, everyone. 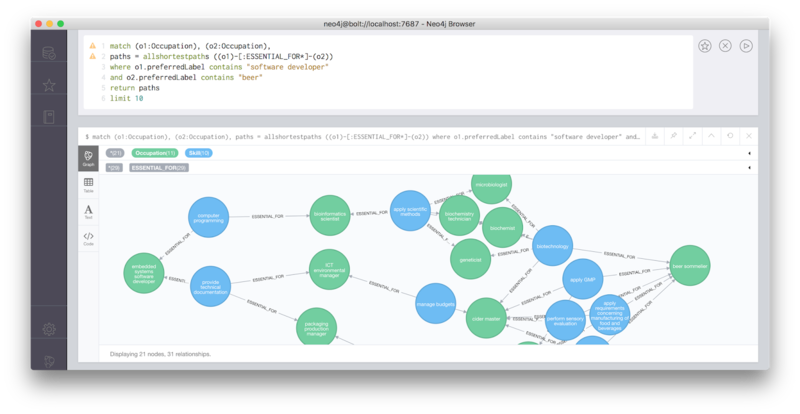 My name is Rik, Rik Van Bruggen from Neo4j. And here I am recording a face-to-face podcast, which is the first in a long time. We're at our GraphTour conference in London. And I'm actually here joined by Irene, Irene, from Gousto. And Irene just did a presentation here at the GraphTour about how you guys have been using Neo4j, right? RVB: 00:01:39.301 All right. Hello, everyone. My name is Rik, Rik Van Bruggen from Neo4j, and here I am again recording another episode for our Graphistania podcast. And today I am very happy to have one of my Malmö colleagues on the other side of this call. That's Johan Teleman. Hi, Johan. JT: 00:01:59.902 Hi, Rik. Happy to be here. RVB: 00:00:07.247 Hello, everyone. My name is Rik, Rik Van Bruggen from Neo4j and here I am recording another episode for our Graphistania podcast. And today, I have, well, should I say a fellow Flemish countryman? I'm not sure really. There is a little bit of history there, right? I've got Nicolas Saers on the phone here. 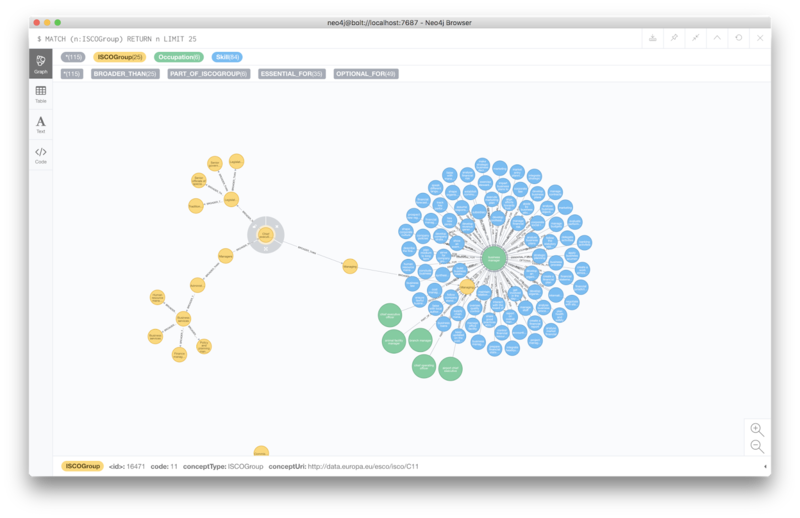 Here's another great podcast for you: I had a chat with Dilyan Damyanov of Snowplow Analytics, chatting about how you can use a graph database for enhancing your event analytics, specifically for clickstream analysis. I wrote about this myself a while back, but of course there is so much more to it - and Snowplow has really done a great job at enabling it with their toolset. RVB: 00:00:14.000 Hello everyone. My name is Rik Van Bruggen from Neo4j and here I am recording another Graphistania Neo4j podcast. And today, I've got someone from London on the phone. That's Dilyan Damyanov. Hi, Dilyan. RVB: 00:00:03.935 Hello, everyone. My name is Rik, Rik Van Bruggen from Neo4j, and tonight I'm here again recording another Graphistania Neo4j podcast episode. And on the other side of this Skype call, I've got a wonderful community member from Ellicott City, Maryland. And that's Laura Drummer from Novetta Technologies. Hi, Laura. How are you? LD: 00:00:26.915 Hi, I'm great. How are you? Just before 2017 came to an end, I read this blogpost by my colleague Konstantin that was talking about how we were including an asynchronous API in our Java driver. That triggered my attention - I have always thought of the non-blocking characteristics of asynchronous systems to be very interesting for lots of different use cases. Just think of the difference between email (async) and phone (sync) communication - there's great use cases for both of them, right? So I decided to try and get Konstantin on the phone, which he very graciously accepted. We had a great chat - which is what this next podcast episode is all about. Hope you enjoy! RVB: 00:00:03.511 Hello everyone. My name is Rik Van Bruggen from Neo4j and here I am again recording another episode to our Graphistania Neo4j podcast. And this morning I've got a wonderful colleague of mine in Malmö, Sweden, on the other side of this Skype call and that's Konstantin Lutovich. Hi, Konstantin. KL: 00:00:23.786 Hello, Rik. Thanks for having me here.